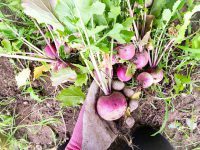 Sunday August 27th, 2017 10am-4pm Farmers on 57th Market Garden 650 West 57th Avenue Weeds happen every year, but this season we’re gonna win! This is part three of our Summer Weed Party Series. 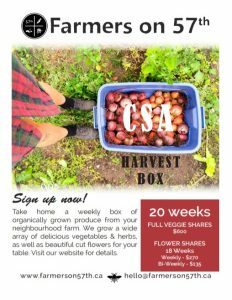 Come on out, get your hands in the soil, and help a farmer out. Please bring: Sunscreen Sunhat Water bottle Your own lunch/ snacks Gardening gloves (if you have them – we have some extras if you don’t) Kids welcome! Drop by anytime you like, even to visit.